18th Century gilt William Kent style console table - Ornapedia . 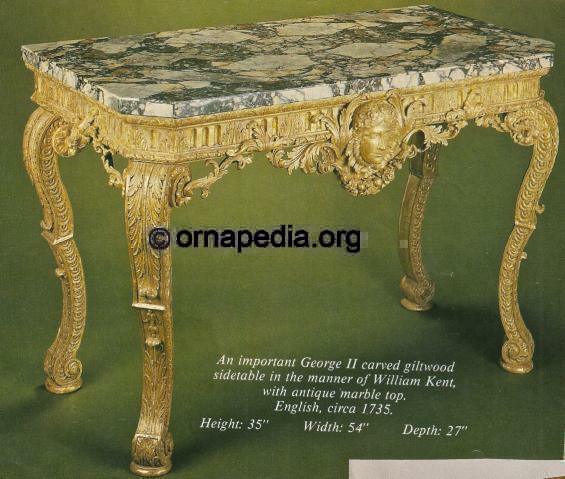 Description: 18th Century gilt console table. William Kent style.